White House economic adviser Larry Kudlow says the Chinese economy "looks terrible." 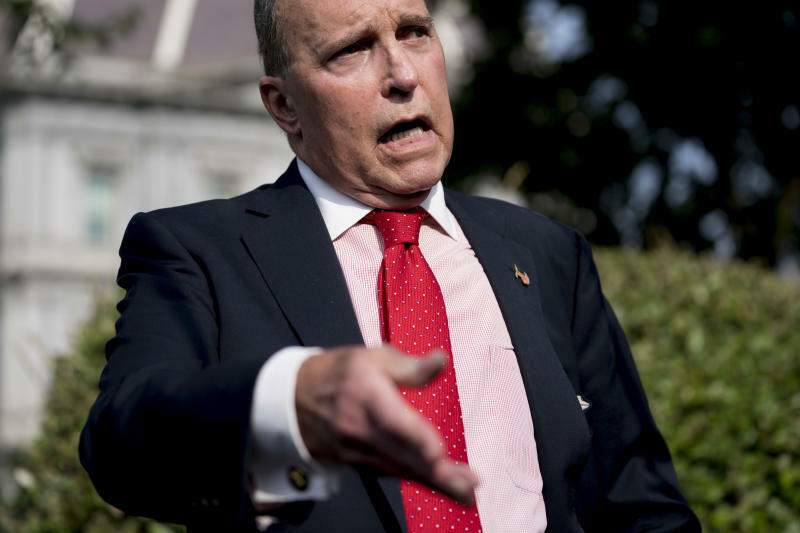 Asked by President Donald Trump to assess China's prospects at a cabinet meeting, Kudlow on Thursday asserted that "their economy is just heading south. Business investment is just collapsing." China's economy decelerated from April through June as Beijing tightened credit policy to combat a big rise in debt. The International Monetary Fund expects Chinese growth to slow to 6.6 percent this year from 6.9 percent in 2017. "People are selling their currency... investors are moving out of China because they don't like the economy, and they're coming to the USA because they like our economy," Kudlow said.